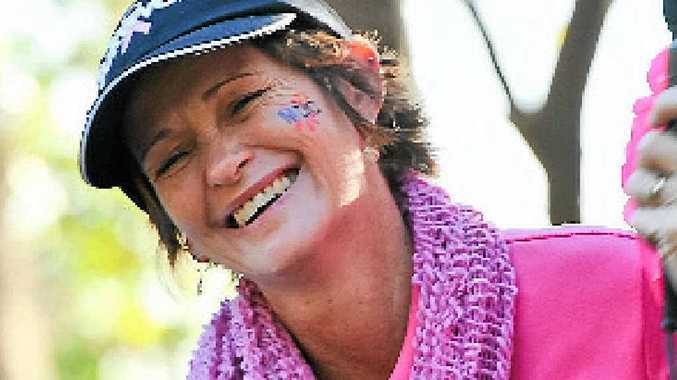 WHEN Lyn Adams was diagnosed with breast cancer she had three children under the age of five. Her first thought was: "I'm their mother, I'm meant to be looking after them". She battled the disease for 12 months and after a mastectomy she was given a 95% chance to live. Now she celebrates being 10 years cancer-free. Mrs Adams was on the organising committee for the Mother's Day Classic yesterday. "Seeing everyone here today fighting the same fight to raise funds and awareness for breast cancer is amazing," she said. "I love seeing everyone here in pink, being a cancer survivor." Yesterday she ran the 4km course with her daughter, Charli-Rose, but said she couldn't keep up.